In My Humble Opinion: The Fast and Furious movies are senseless fun and I enjoy watching them, there I said it! I remember watching the very first one on a bootleg DVD while on the USS Rushmore when I was deployed overseas and have been a fan ever since. If you don’t like spoilers, don’t read anymore. If you don’t care about them…enjoy! 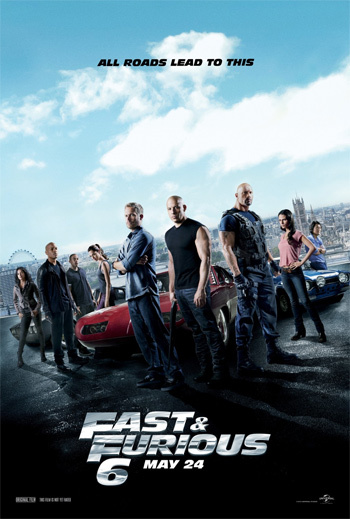 Following their successful Rio heist, Dominic Toretto and his crew of professional criminals have retired around the world: Dominic lives with Elena; his sister Mia and Brian O’Conner have had a son, Jack; Gisele and Han have moved to Tokyo; and Roman and Tej live in luxury. Diplomatic Security Service (DSS) agent Luke Hobbs and his partner Riley investigate the destruction of a Russian military convoy, believing former British Special Forces soldier Owen Shaw and his crew are responsible. Hobbs tracks down Dominic and requests his help in bringing Shaw down; Dominic agrees when Hobbs presents him with a photo of Dominic’s former girlfriend Letty Ortiz, whom he thought was dead. Dominic gathers his crew together and they accept the mission in exchange for full amnesty for their past crimes, which will allow them to return home to the United States; Mia and Elena remain with Jack. The crew are led to Shaw’s London hideout by one of his henchmen, but it is revealed to be a trap intended to distract the crew and police while Shaw’s crew performs a heist elsewhere. 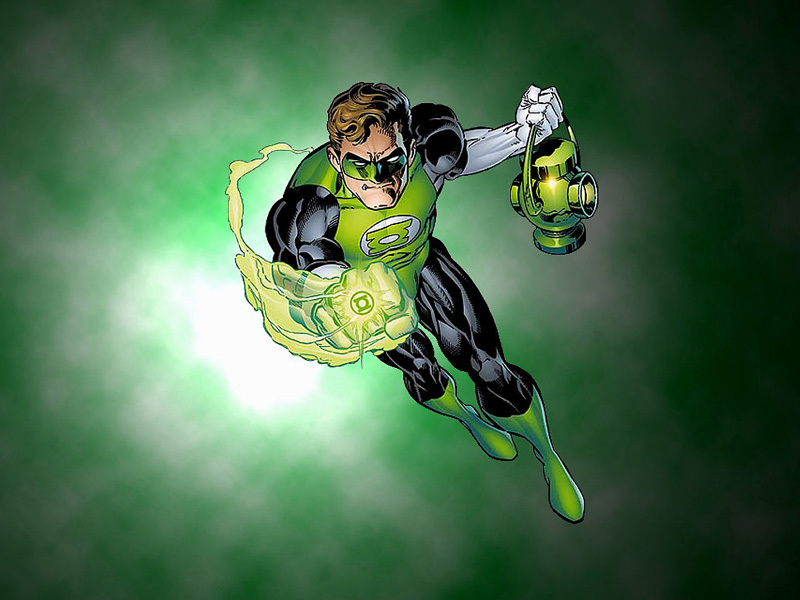 Shaw flees by car, detonating his hideout behind him and disabling most of the police, leaving Dominic, Brian, Tej, Han, Gisele, Hobbs and Riley to pursue him. Letty arrives to help Shaw, and shoots Dominic without hesitation before escaping. Back at their headquarters, Hobbs tells Dominic’s crew that Shaw is stealing components to create a Nightshade device which can disable power in an entire region; he intends to sell it to the highest bidder. Meanwhile, Shaw’s investigation into the opposing crew reveals Letty’s relationship with Dominic, but she is revealed to be suffering from amnesia. Roman, Han, Gisele, and Riley investigate a subordinate of Shaw who reveals Shaw’s connection to Arturo Braga, a drug lord imprisoned by Brian. Brian returns to the United States as a prisoner to gain access to Braga; Braga reveals that Brian will only get close to Shaw if Shaw allows it, and discloses how Letty survived the explosion that was thought to have killed her. Shaw went to finish her off but after learning that she had no memory, he took her in. Aided by a former ally in the FBI, Brian is released from prison. In London, Dominic races Letty in a street racing competition. Afterwards, the pair talk and Dominic returns her necklace. When she leaves, Shaw arrives and offers to let Dominic and his crew walk away without harm, but Dominic refuses to leave without Letty. Tej tracks Shaw’s next attack to a NATO Spanish military base. Shaw and his crew assault a military convoy carrying a computer chip to complete the Nightshade device. Dominic and his crew interfere, destroying the convoy while Shaw, accompanied by Letty, commandeers a tank and begins destroying cars along the highway. Roman manages to anchor his car to the tank, which Brian then pushes over a bridge, flipping the tank. Letty is thrown from the tank and Dominic risks his life to save her from falling to her death. In the aftermath, Shaw and his men are captured, but he reveals that he has kidnapped Mia. The crew are forced to release Shaw, and Riley (revealed to be working for Shaw) leaves with him; Letty chooses to remain with Dom. Shaw and his crew board a large aircraft while it is in motion on a runway while Dominic and his crew give chase. Dominic, Letty, Brian, and Hobbs board the craft; Brian rescues Mia and they escape using a car onboard. The plane attempts to take off but is held down by excess weight as Han, Gisele, Roman, Tej, Brian, and Mia tether the plane to their vehicles. Gisele sacrifices herself to save Han. Letty kills Riley and both she and Hobbs leap to safety, but Dominic pursues Shaw and the computer chip. Shaw is thrown from the plane as it crashes into the ground; Dom drives one of the remaining cars through the nose of the plane and reunites with his crew, giving the chip to Hobbs to secure their amnesty. In the aftermath, Dominic and his team return to the United States. Hobbs and Elena arrive to confirm the crew are free. As Dominic’s crew gather to share a meal, Dominic asks Letty if the gathering felt familiar; she answers no, but that it feels like home. In a post-credits scene, while Han is being chased in Tokyo, he is hit by an oncoming car, resulting in Han’s car exploding, killing him. The other car’s driver walks away from the scene and calls Dominic, leaving him a threatening message. In My Humble Opinion: Star Trek has been brought back to life thanks to J.J. Abrams. The 2009 reboot was a great movie (and this coming from an avid Star Wars fan) and I’m sure this one will be just as good if not better. Enjoy!!! The USS Enterprise is sent to observe Planet Nibiru, but finds a volcano on the verge of erupting and wiping out its primitive inhabitants. In the process of launching a dangerous mission to halt the eruption, first officer Spock‘s life is jeopardized, forcing Kirk to break the “Prime Directive” and reveal the Enterprise to the planet’s civilization to rescue him. As a consequence, a number of indigenous people begin to worship the ship as it leaves. After being called back to Earth, Kirk is relieved of command, and Admiral Pike reassumes command of the Enterprise. Shortly afterward, Starfleet agent John Harrison bombs a secret “Section 31” installation in London. An emergency meeting of high-ranking officers is called at Starfleet headquarters, which Kirk attends as Pike’s first officer. 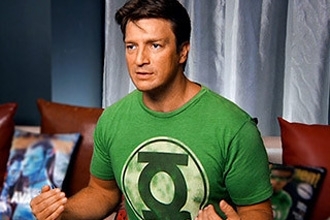 The meeting is attacked by a gunship piloted by Harrison. Kirk takes the gunship down, but Harrison escapes and Pike dies. After Pike’s funeral, Admiral Marcus (Weller) authorizes Kirk to hunt down Harrison, who has fled to the Klingon home world of Qo’noS. Since Qo’noS lies deep in Klingon territory and Starfleet is on the brink of war with the Klingon Empire, the Enterprise is supplied with 72 long-range prototype photon torpedoes, and is ordered to fire them all at Harrison’s location once he is found. Assuming those weapons to be too dangerous, chief engineer Montgomery Scott refuses to take them aboard and is therefore relieved of duty. The Admiral’s daughter, scientist Carol Marcus also joins the crew, under a false identity, and Chekov is promoted to Chief Engineer. After arriving at the Klingon home world, the Enterprise’s warp core malfunctions, leaving the ship stranded in space. With repairs underway, Kirk, Spock and Uhura use a commandeered Klingon shuttle to enter Qo’noS. However, they are detected by Klingon patrol ships and are forced to land. Despite Uhura’s attempts to negotiate, the Klingons prepare to kill the trio, when a mysterious figure attacks the Klingons. After wiping them out, John Harrison confronts the landing party, but surrenders after learning the precise number of torpedoes aimed at him. Back on the Enterprise, Harrison reveals his real identity: Khan, a genetically enhanced superhuman, who has been in cryo sleep for 300 years after waging an unsuccessful war on Earth to eradicate all those inferior to himself and his superhuman comrades. He suggests Kirk should take a closer look at the 72 prototype torpedoes and tells him a set of spacial coordinates. Kirk orders McCoy to take apart one of the torpedoes, and contacts Scotty back on Earth to examine the co-ordinates. The torpedoes are found to each contain a genetically-engineered human in cryo sleep – the remaining members of Khan’s crew from the Botany Bay. Khan explains that Admiral Marcus awakened Khan to force him to use his superior intellect and savagery to develop advanced weapons to start a war with the Klingons, keeping his crew as hostages. Kirk realizes that the Enterprise warp core has been sabotaged on Marcus’ orders, making the covert operation to kill Khan a one-way ticket. At the same time Scott arrives at the coordinates which have been revealed by Khan, and finds a secret Starfleet shipyard, which he infiltrates. Back on the Enterprise the defective warp core is brought back online, but Chekov discourages from using it yet. Shortly after, another ship arrives: an unregistered Federation battleship, the USS Vengeance – a massive vessel built for combat which dwarfs the Enterprise. Admiral Marcus reveals himself as the commander of the vessel, demanding Kirk hand over Khan. Kirk refuses, and the Enterprise warps away to Earth, to return Khan to stand trial for his crimes. With Marcus in pursuit, the Enterprise is attacked by the Vengeance in Earth’s orbit. Outgunned, the Enterprise is severely damaged. Ultimately Kirk agrees to hand over Khan and the 72 bodies in cryo sleep in exchange for the lives of his crew. Marcus refuses and beams his daughter to prevent her being used against him. As the Vengeance is about to destroy the Enterprise, it suffers a ship-wide power outage, caused by Scott who had boarded the ship earlier at the secret shipyard. As the Enterprise weapons are too damaged to continue the fight, and knowing that Khan was the designer of Marcus’ ship, Kirk allies himself with Khan and boards the enemy ship. They reunite with Scott and take the bridge. Meanwhile, Spock contacts Spock Prime to learn of Khan’s history and how to defeat him. 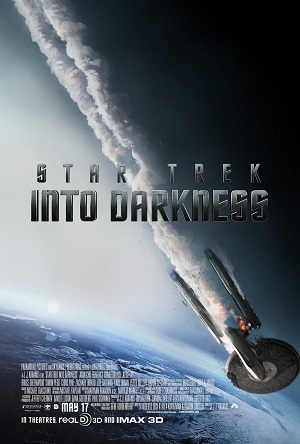 Khan betrays Kirk and takes control of the ship, killing Admiral Marcus in the process. Khan negotiates with Spock for Kirk’s life, and beams aboard the 72 torpedoes onto the Vengeance. Khan beams Kirk and the rest of the boarding party back to the Enterprise in order to destroy it. Spock reveals that the torpedoes beamed to Admiral Marcus ship were actually armed with real warheads while the cryo pods still remain on the Enterprise. Spock detonates the torpedoes rendering the Vengeance non-functional, and sending Khan into a furious rage, believing his crew have been killed. Both ships start descending towards the Earth’s surface. The crew of the Enterprise finally manages to halt their ship’s descent, as Kirk sacrifices his life to re-align the warp core, dying from radiation poisoning. The enemy ship crashes into downtown San Francisco. Having survived the crash, Khan tries to escape in the chaos, but is pursued by Spock. Meanwhile, doctor Leonard McCoy discovers that Khan’s blood may reanimate the dead Kirk. In the last possible moment, Uhura prevents Spock from killing Khan, and he is taken captive. Kirk reacts positively to the treatment and is revived and put back on active duty. Khan is sealed into his cryo pod and stored away with the rest of his crew. As the film ends, the Enterprise is re-christened and departs for a 5-year mission of exploration. In My Humble Opinion: I liked this movie better when it was called Olympus Has Fallen, and I liked Olympus Has Fallen better when it was called Die Hard. That being said, I shouldn’t complain too much because at least Hollywood is realizing it can take the concept of a movie made previously and not necessarily remake the original movie, just give it a new title and have it be a stand alone film. Of course on that note, Channing Tatum’s outfit seems strikingly similar to Bruce Willis’ in Die Hard wouldn’t you say haha. Enjoy! Are You Still Following The Following? 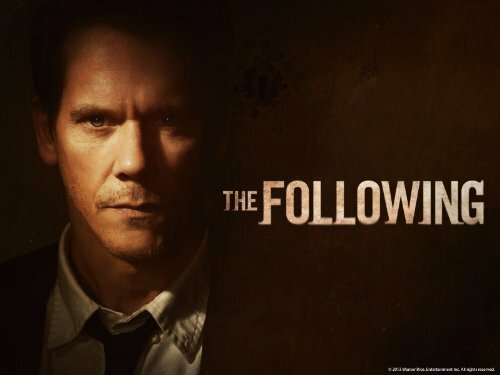 In My Humble Opinion: The Following really picked up the pace once the show’s plot moved away from the farm-house. I had kind of lost interest in the show, but thankfully my wife made me watch another episode. I’m glad she did because my interest has been rejuvenated. Hopefully you can relate to what I mean about the whole farm-house plotline and how the show seemed to stall for a little while? Luckily the writers upped the ante and had Joe escape from prison which put into motion a list of other sub-plots that made the show worth following again…pun intended. The season finale was bitter-sweet since my excitement and interest in the show had finally been reinvigorated. On that note, you wanna talk about one of the best cliff hangers in television season finales? SPOILER: Personally, I don’t think Joe Carrol is dead do you? Surely there was some sort of trap door or something in the boathouse he was able to use for his escape? Killing off Joe Carrol would pretty much end the series right? I mean Joe Carrol is the Hannibal Lecter to Ryan Hardy’s Clarice Starling. Hopefully we don’t have to wait too long and Fox will decide to bring the show back sooner rather than later so we can find out if Joe lived or not. Personally I can’t wait to see whether Kevin Bacon and Natalie Zea’s characters live or die as a result of their stabbings as well. I also want to see how the writers eventually reveal that Joey is actually Ryan’s son and not Joe’s (This is just one of my predictions for the show) Whenever it comes back, I can confidently say that I will be tuning in. Yes, I will continue to follow The Following.